Our first visit to St. Kitts 10 years ago revealed a Basseterre that lacked the crowds, energy and appeal of other islands. It was memorable for a great snorkeling cruise. It was best forgotten because of my agonizing tooth infection that needed care from one of two part-time dentists on the island. His T-shirt, shorts and flip-flops did not inspire confidence. 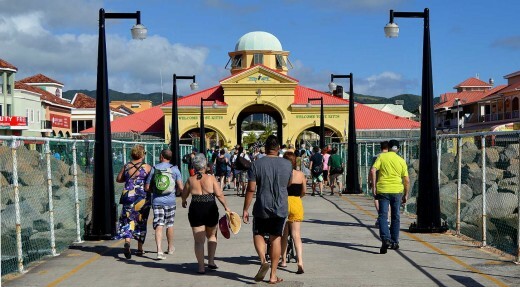 Our second visit to St. Kitts on an eastern Caribbean cruise revealed a sprawling new cruise terminal with a shopping and dining district that could compete with any in the Caribbean. 1. The sprawling Port Zante mall can take up an entire afternoon. 2. The "Circus" is worth a quick visit. 3. St. Kitts railway, Brimstone Fortress and Mt. Liamuiga are unique attractions. 4. North Frigate Bay beach is popular and four miles away. 5. The best cruise weather is late spring and early summer. Have you visited St. Kitts? If so, would you recommend it to others? 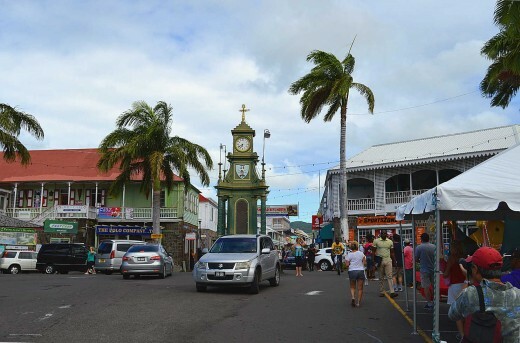 Most cruise visitors will arrive at Port Zante by downtown Basseterre. 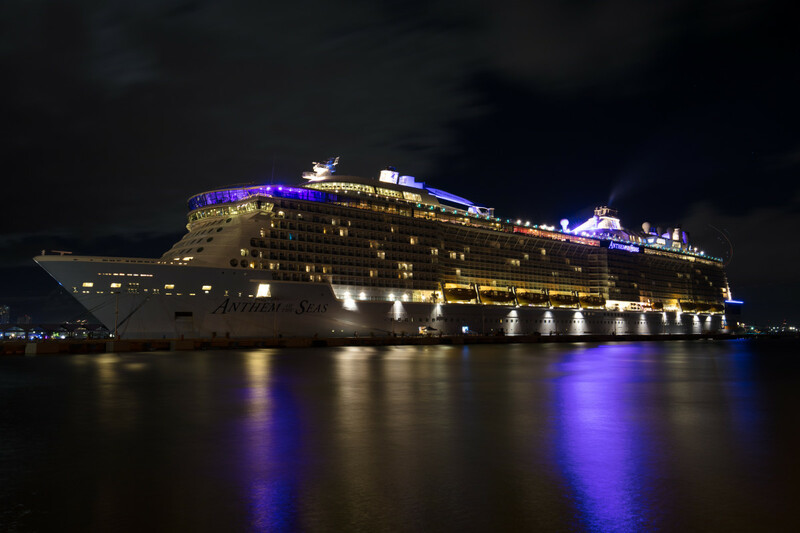 The port has a single pier that can handle two of the largest cruise ships in the world including the Queen Mary II, according to the St. Kitts Tourism Authority. The visitors will walk through security gates under three large arches and into the open-air, duty-free mall with more than 40 shops and restaurants. Excursion operators pick up and drop off passengers by the gates. The Port Zante mall looks more like a standard outdoor mall in America. But there is no mistaking the Caribbean weather. The tethered monkee sitting in one outdoor restaurant is not something anyone sees at an American mall. If cruise port visitors keep walking away from the ships, they will move beyond Port Zante to the Pelican Mall with more shops as well as the National Museum. 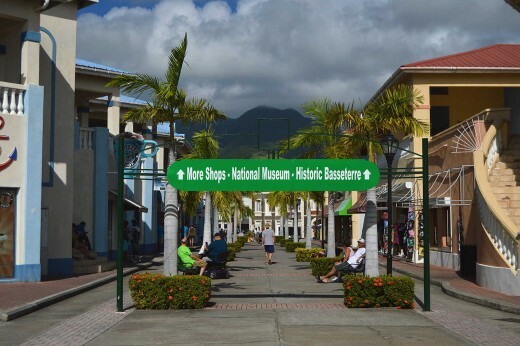 The historic district and downtown Basseterre lies just beyond the mall and museum. The scene beyond the mall and museum is worth a brief visit. Tourists often stop and photograph one of the oddest town centers in the Caribbean. It’s called the Circus because it is an octagonal plaza that reminds people of the famous Piccadilly Circus in London. The unusual looking Berkeley Memorial Drinking Fountain and Clock, built in 1891, stands in the middle of the plaza. Tourists click away with their cameras. 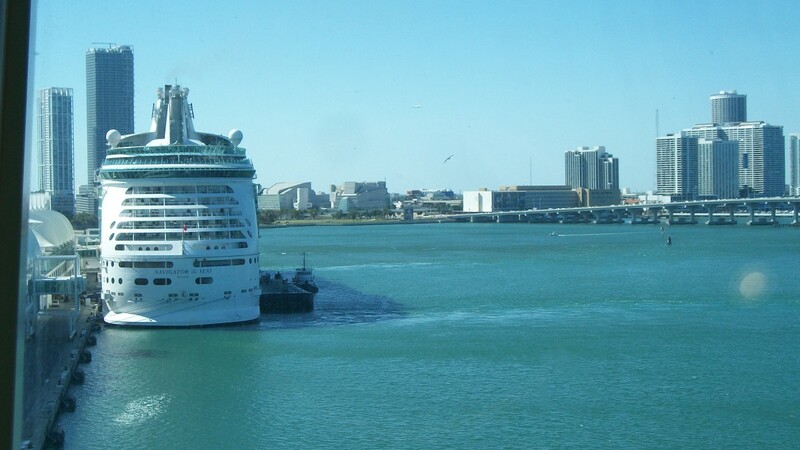 The cruise port has plenty of shopping, dining and bar hopping to keep someone busy for an afternoon. The Circus is a quick side attraction. For more fun things to do, visitors will have to venture outside of the city. Three unique attractions get the most attention: the St. Kitts Scenic Rail, Brimstone Fortress and the Mount Liamuiga volcano hike. St. Kitts Scenic Rail, a narrow-gauge railroad that circles the island, is a unique attraction in the Caribbean. It was built between 1912 and 1926 to transport sugar cane from the fields to the sugar mill in Basseterre. The three-hour tour is 30 miles long and usually includes 18 miles in the train and 12 miles on tour buses. Expect to pay $100 or more per person. Brimstone Hill Fortress National Park, a UNESCO World Heritage Site, is one of the most well-preserved New World fortresses in the Caribbean. 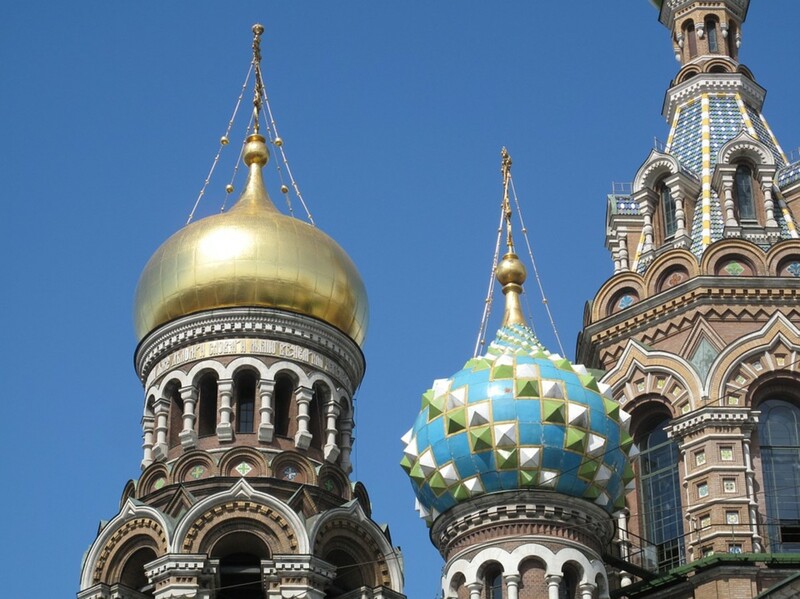 Construction began in 1690 and continued off and on for about 100 years. The cost is $10 per adult and half price for children. Anyone with extra time and a high level of fitness can hike the 3,800-foot-tall Mount Liamuiga volcano. This domineering mountain is hard to miss on a small island, especially for anyone who flies into St. Kitts rather than arrive by cruise ship. Hikers usually start at the 1,000 foot level and hike up the smaller of two peaks to the 2,000 foot level. 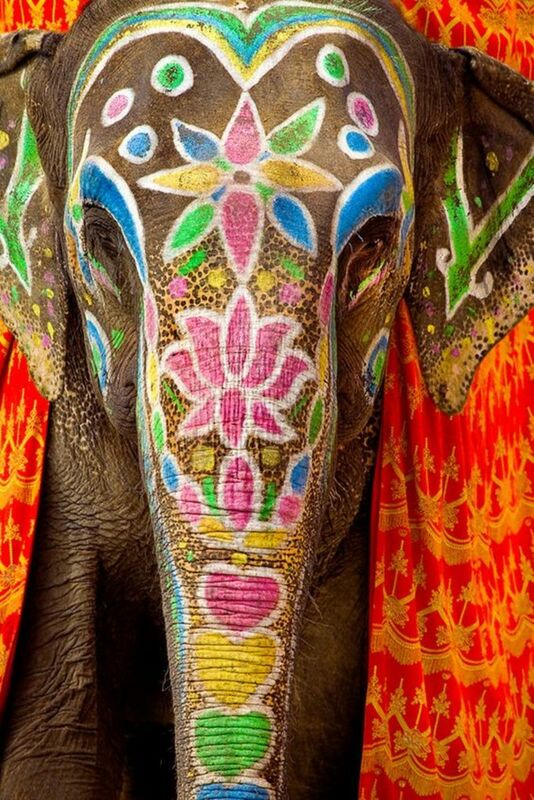 The price is about $100 per person with discounts for children depending on the tour operator. Otherwise, most of the other attractions and excursions on St. Kitts are standard: horseback rides, snorkeling, dolphin encounter, ATV rides and one golf course (Royal St. Kitts Golf Club of Marriott). 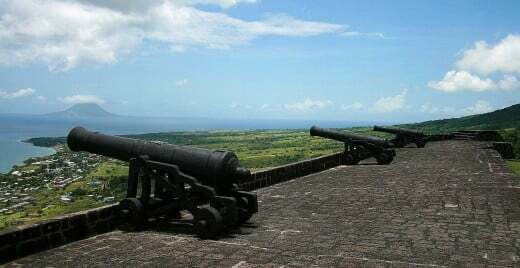 Brimstone Hill Fortress National Park, a UNESCO World Heritage Site, is one of the most well-preserved New World fortresses in the Caribbean. St. Kitts is only 65 square miles or about five miles wide and 18 miles long, so visitors can quickly reach anywhere on the island with a taxi, rental car or excursion bus. The island isn’t as well known for great beaches as other Caribbean islands such as Anguilla, Aruba or Grand Cayman. We thought they were average at best. It does have 13 beaches that the St. Kitts Tourism Authority recommends. Possibly the best beach for cruise port visitors is North Frigate Bay about four miles from the terminal. It is popular with excursions because it is close to Basseterre. It also has hotels and restaurants that make a full-day visit more comfortable. Visitors who like snorkeling will find several beaches with access and of course excursion operators who offer more expensive boat rides out to dive spots. The beaches with access to snorkeling include Conaree, Dieppe Bay, Pump Bay and White House Bay. Our snorkeling trip wasn’t as good as others we have taken in the Caribbean. Sometimes finding colorful fish and other sea creatures is a matter of luck. Possibly the best beach for cruise port visitors is North Frigate Bay about four miles from the terminal. Taxi rates are standard based on the distance from the Basseterre cruise port. Visitors who take a taxi rather than an excursion bus to a beach or other excursions should ask for rates before getting into the taxi. Expect to pay around $12 to $15 total (from one to four people) to get to a nearby beach such as North Frigate Bay. The cruise weather for St. Kitts is similar to other islands in the region with average high temperatures ranging from the low 80s Fahrenheit in the winter to the upper 80s in the summer. Average low temperatures, usually at night, range from the low 70s Fahrenheit in the winter to upper 70s in the summer. Rainfall each month varies much more than temperatures. 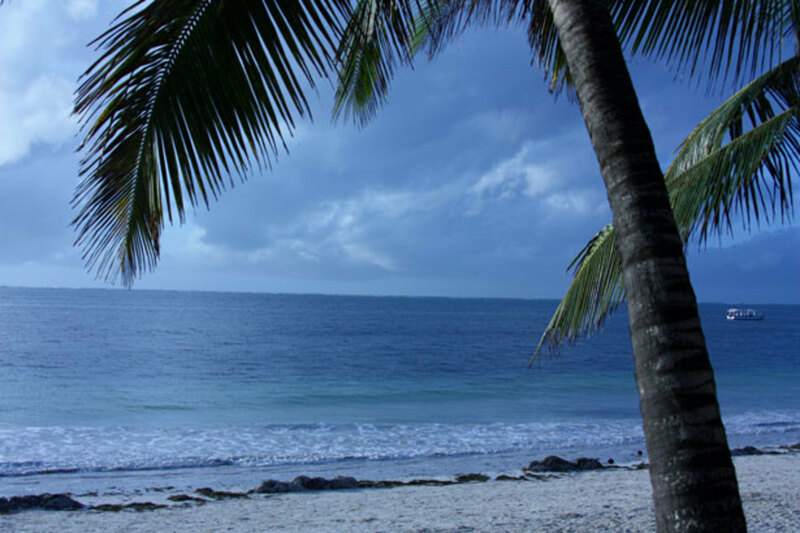 The island has a dry season from December through June. The rainy season goes from July through November. We visited the island in December on our second trip and found the weather ideal. Historical weather data shows that cruise travelers will find the best weather in April because of warmer temperatures and lower risk of rain. The Caribbean hurricane season is most active in September and October. 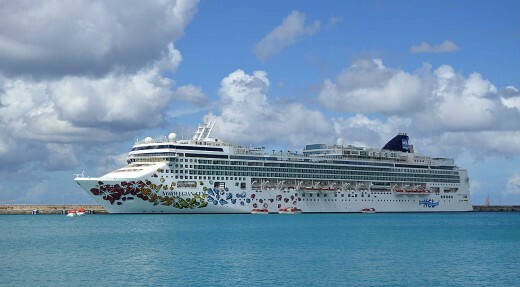 They are the worst months for a visit to the Basseterre cruise port. I really enjoyed My visit Can't wait to come back in the future. Thanks, Ms Dora. I'm grateful for your comments! Yes, St.Kitts is much improved, and still improving. Thanks for such a well-done article on our island. You did it justice. Please come again! Hi, Jo. What we do depends on the port. At St. Maarten, we mainly stayed on the beach by the cruise docks. At others, we often go on excursions. St. Kitts took us by surprise because of how much it had improved since our last visit. We usually walk right through those cruise ports. We enjoyed St. Kitts, though our stay was brief.